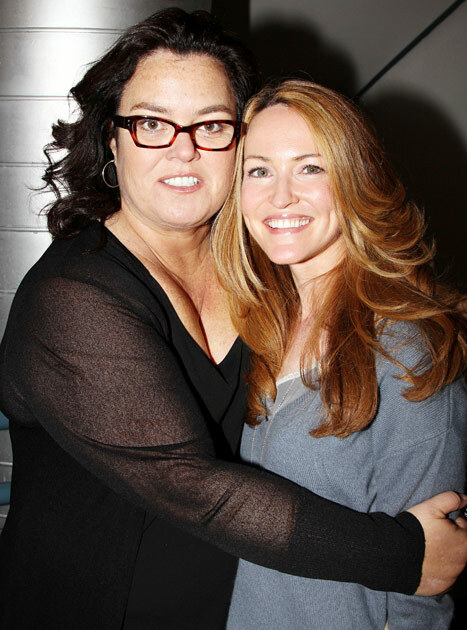 The comedienne went public about her relationship with Michelle Rounds in September 2011, and announced they were engaged in December of that year. The couple's wedding has been rescheduled for next summer, and Rosie has asked for donations to the Desmoid Tumor Research Foundation in lieu of gifts. Rosie tweeted a link to a poem revealing that her partner has had surgery in connection with a desmoid tumour. She accompanied it with the words: "b4 the tabloids run it." The poem begins describing how the tumor took them by surprise. She wrote: "Took mish 2 malibu / drove to napa / stopped in big sur / heaven on earth. "Then blink - it begins / on mothers day / morning pain / that won't let up." The TV personality went on to describe the condition and explain that Michelle is recovering. She wrote: "Only 900 cases a year in the US / an orphan disease - beyond rare / only 3 people per million get this / michelle is one of them. "She is recovering from surgery in june / getting stronger every day / we have joined the fight against this disease / raising money and awareness."